Tonal roses on a navy background. Sometimes you've got to stop and sew the roses, especially when they're this lovely! 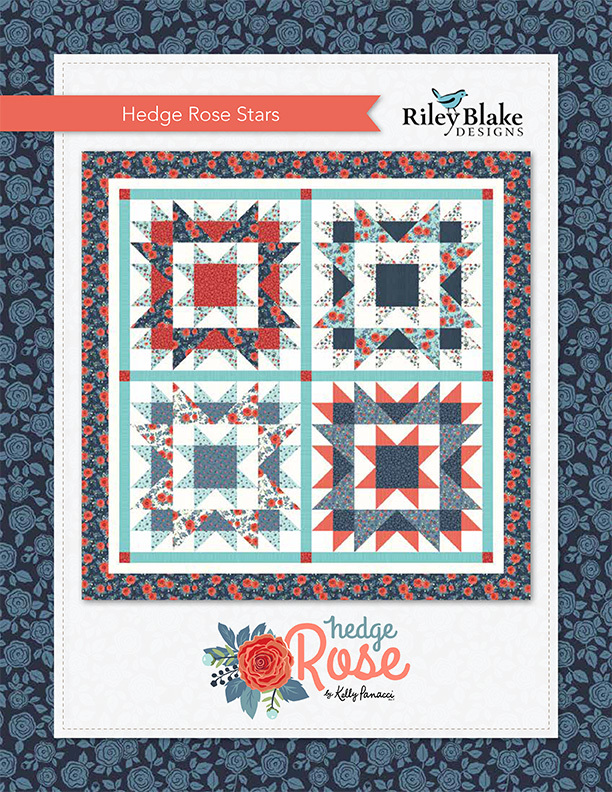 Hedge Rose features charming red roses tossed on red, blue, and white backgrounds.